As another April comes and goes, and we mourn the loss of our ancestors almost a century ago, we again look toward recognition. States, counties, cities and municipalities will pass resolutions in their legislative bodies acknowledging truth, paying homage to social justice and international human rights. Rallies will assemble, protests will emerge and we will unite with our brothers and sisters around the world demanding that the Republic of Turkey accept guilt for its atrocities beginning in 1915. Such has been the case for decades and we have made inroads in our battle for justice. With that said, there are still many milestones toward recognition which the Armenian community is still looking to accomplish. Those working toward these efforts can be found among those few remaining survivors the latest generation of Armenians. As diverse and multi cultural the Armenian race is, spread across every continent of this earth, we are united by a common struggle for justice. From our highly successful professionals to our passionate youth, our ever-expending community is utilizing every tool at its disposal to ensure the tragedies of our ancestors are not forgotten and efforts to rewrite history prove unsuccessful. Almost a century after the near extermination of our race, our voices have become louder and every passing generation sees our Cause embolden. 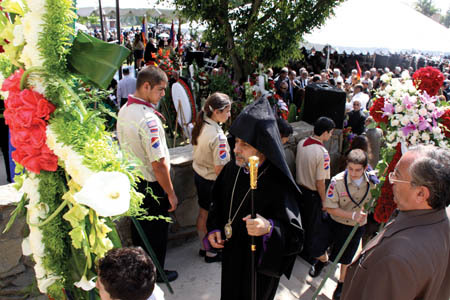 Each passing year, the Armenian Genocide becomes more widely known and accepted. 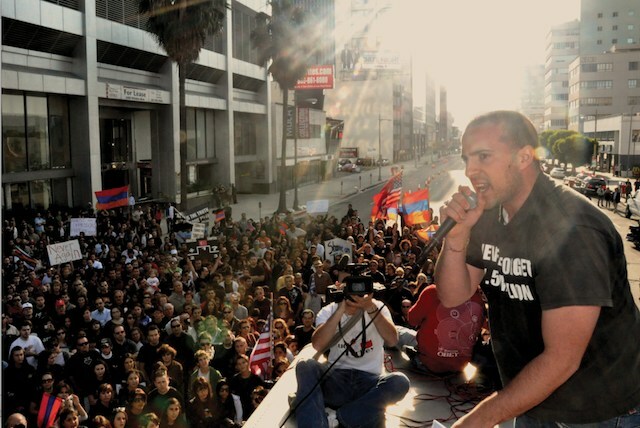 On every front, the Armenian Diaspora is educating the public through all means possible across the globe. Just this year, another handful of countries added its name to the laundry list of those who formally recognize the genocide. With that said, the heyday of Armenian Genocide recognition remains in the future. As much progress has been made, the passage of the resolution in the United States Congress still awaits a full vote. Behind the scenes, opposition has been mounting to the proper characterization of the Armenian Genocide. This opposition started with a few powerful lobbyists and has transformed into a campaign encompassing international diplomacy, academia and the media. This, along with shifts in geopolitics and a war on terror, has allowed the Republic of Turkey to take advantage of opportunities in its efforts to rewrite history. Their fight, like ours, does not end in Washington. The effort to ensure an accurate historical record stretches far beyond the halls of the nation’s capitol and requires attention of our entire community. As we inch closer to 100 years after the start of the Armenian Genocide, we must not only remember to stay united but also to remain activated. When this April comes and goes, lets not put our efforts on hold for a year. In order to pass a resolution in Congress, we must channel the passion felt on April 24 into action throughout the year. Our community is strong but only with participation of our already united nation can we fulfill all of our efforts toward recognition.